Robotic technology company FBR has built its first house in less than three days, in what the company describes as a feat of engineering to impact the future of the construction industry. 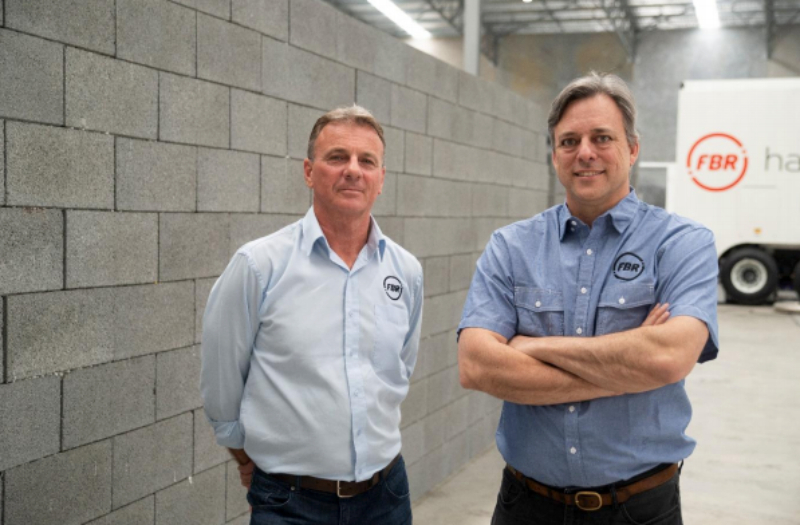 Perth-based FBR, formerly known as Fastbrick Robotics, successfully constructed a 180sq m, three-bedroom, two-bathroom house. The ASX-listed company described the feat as a "world first achievement" and the most "significant technical milestone completed to date" in the Hadrian X programme. “What we have achieved here is a quantum leap for the construction industry,” FBR chief executive Mike Pivac said. FBR says it has achieved a world-first with the fully automated construction of a three-bedroom, two-bathroom house. 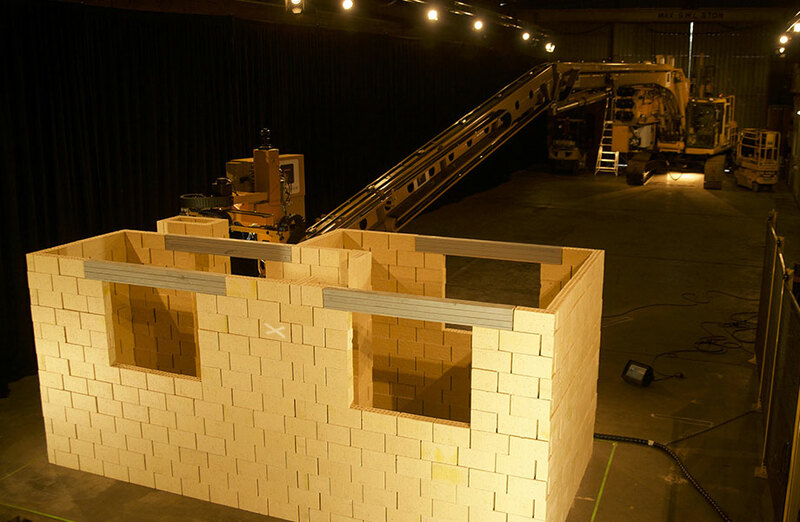 Technological advancements and the globe's growing population combined with a shortage of bricklayers led to the development of FBR’s bricklaying robot, the Hadrian X. The robot can lay 1000 standard brick equivalents per hour compared to the 400 bricks per day a typical bricklayer can lay. 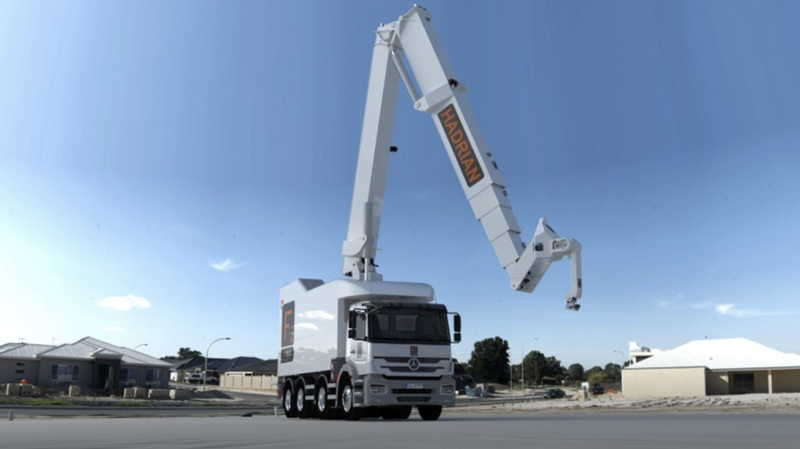 Hadrian X, which won the Excellence in Construction Innovation award at this year's Urbanity, is a construction robot mounted to a classic cab over engine truck to easily transport it to and from a location for on-site building. The robot can also be mounted on other bases such as tracks, barges, boats, and cranes to build in a range of environments. "Humans have been laying bricks, in the same way, the past 6000 years. Until now." FBR's Mike Pivac and Mark Pivac. The robotics company’s share price skyrocketed on the news this week, rising 21 per cent. Chairman Richard Grellman said 6.6 million shares will now be issued in accordance with the company's performance rights plan. Grellman said performance shares would be awarded to both staff members and the founders of the company “in recognition of all their hard work bringing the Hadrian X to life”. FBR will now enter its next phase, explained Pivac. “As we execute our global commercialisation strategy to capitalise on the significant demand for our technology. We are excited by the performance and results, given this work was completed in test speed and for the very first time.